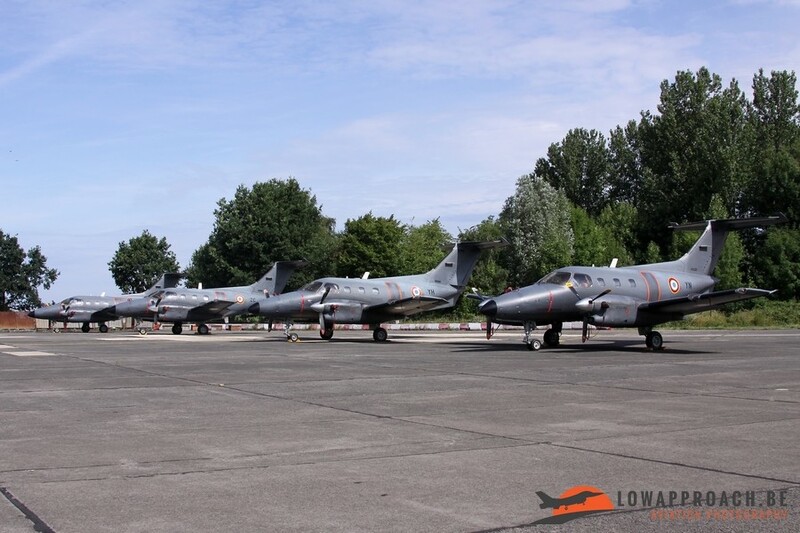 In 2009 the N° 1 Wing at Beauvechain organized a spottersday at the occasion of the Belgian National Holiday on July 21st. 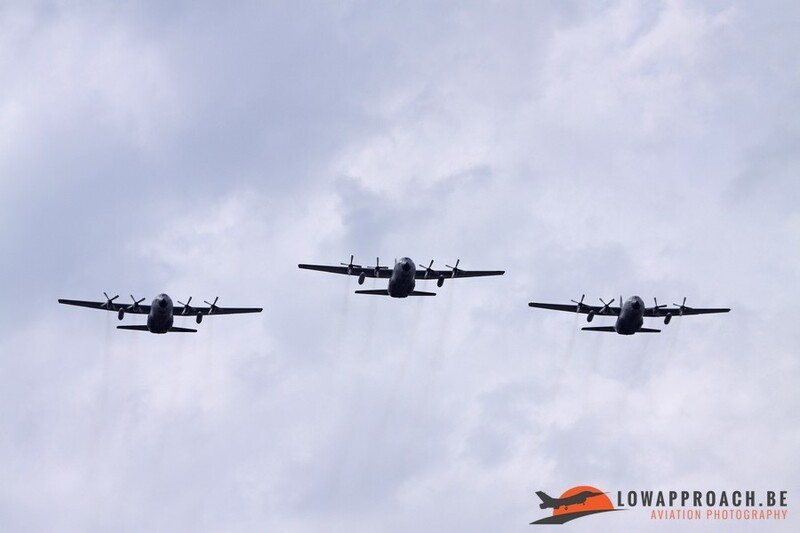 The visitors were treated to nice mix of static display and formation fly-bys. 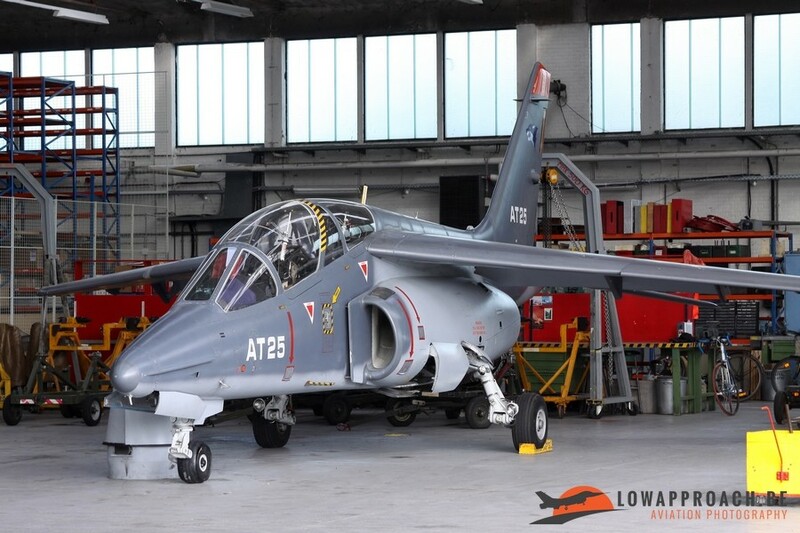 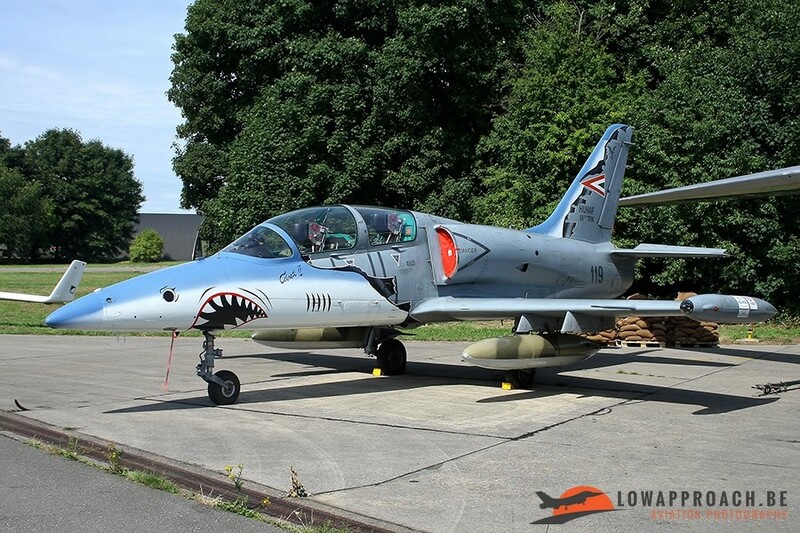 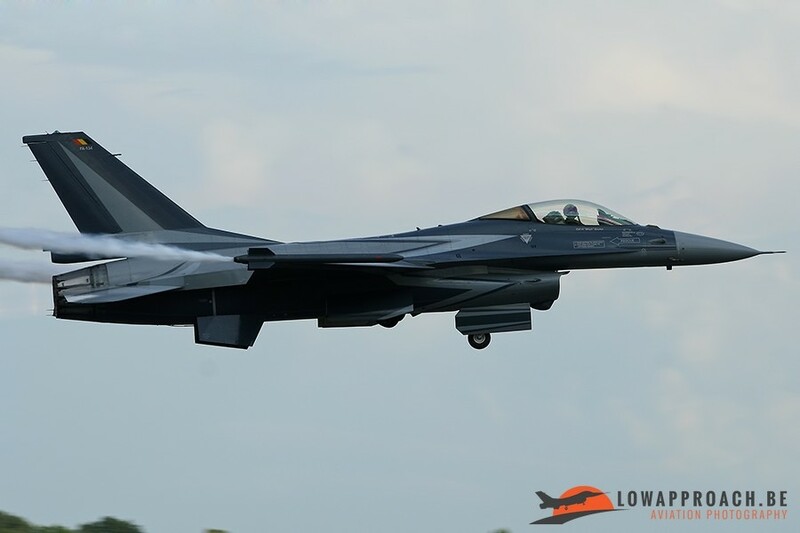 A small number were also allowed to visit the flight lines at the operational side of the airbase to photograph up close the aircraft that later participated in the traditional fly-past over Brussels during the Military Parade. 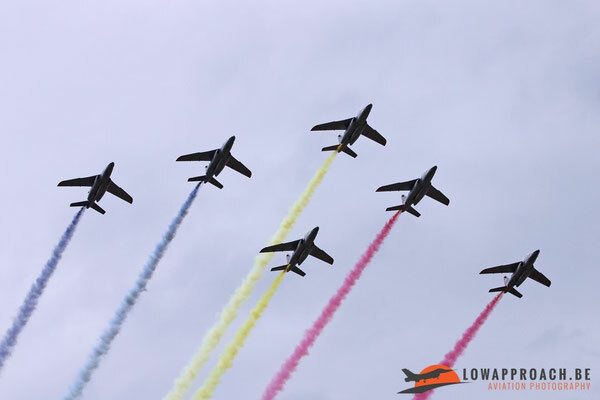 The lead aircraft of this mass fly-past is the Dassault-Breguet Alpha Jet trailing smoke in the Belgian national colors. This aircraft was for many years regularly seen over the skies over Beauvechain , but as the Belgian advanced pilot training moved to Cazaux in the South of France in 2004 these aircraft had become a rare sight in Belgian skies. During the afternoon the others formations that participated in Brussels paid a visit to Beauvechain before heading to their respective homebases. 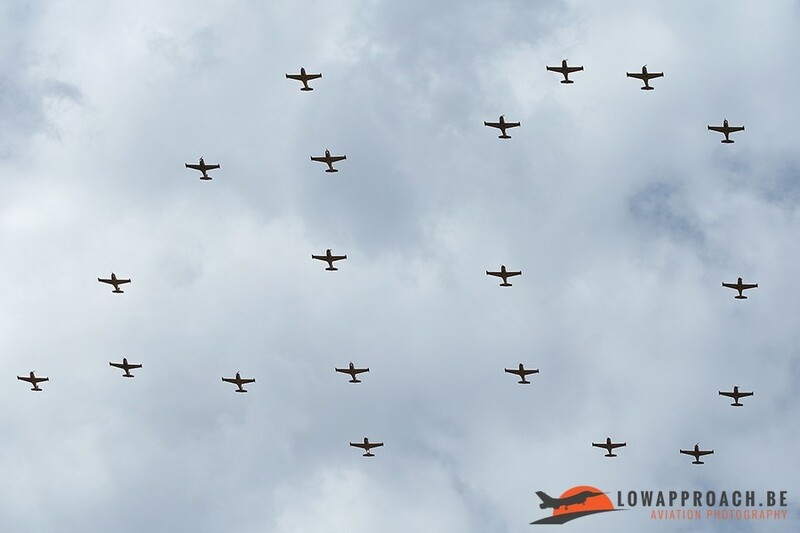 As such we were saw formations of Lockheed-Martin F16AM Fighting Falcons from 2 Wing at Florennes and 10 Wing at Kleine-Brogel, Lockheed C130s from 15 Wing at Melsbroek and a special formation to celebrate the 40th Anniversary of the Siai-Marchetti SF260. 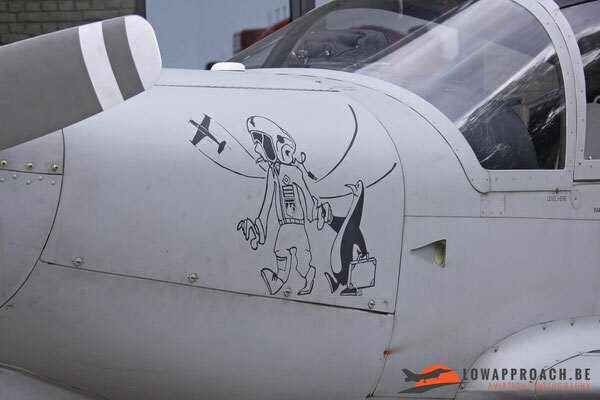 For several years the Belgian and French Air Forces are collaborating closely in the area of pilot training. Belgian pilots destined for the transport fleet receive their advanced training at Avord using the Embraer Emb121AA Xingu. 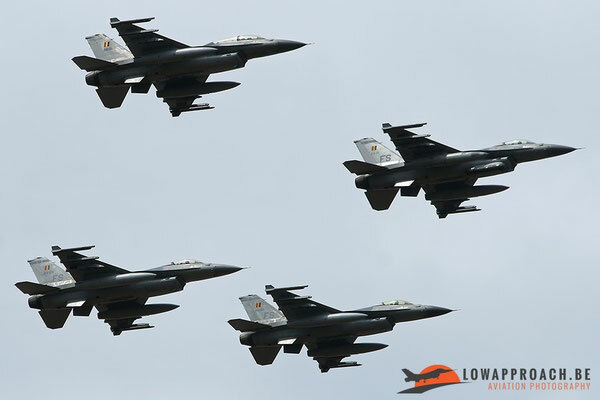 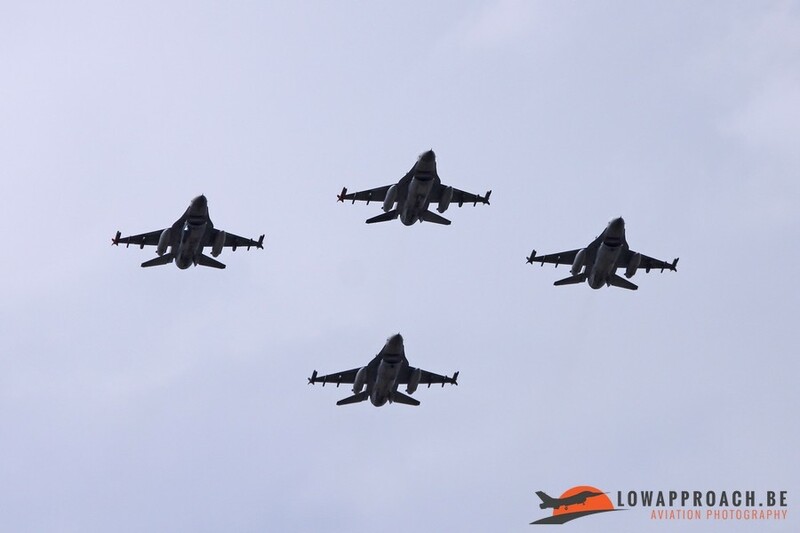 A detachment from Avord was also present at Beauvechain and participated in the Brussels Fly Past. In between the flying activity the visitors could have a look around at the static that consisted of Belgian aircraft and foreign visitors from several air forces. Local aircraft on show were the Sud Aviation Alouette II and the Agusta A109BA. 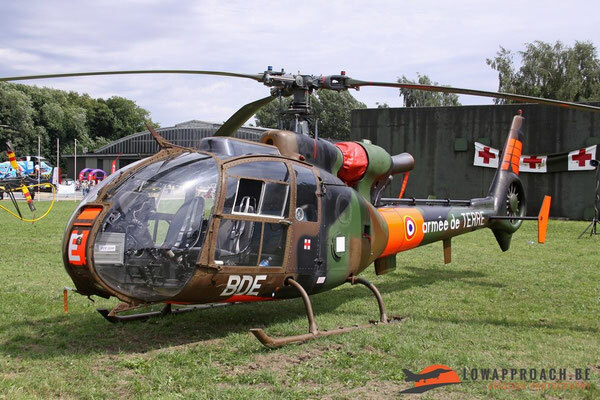 The Alouette II was taken out of service later that year, so it was one of the last occasions that we say an operational example. In addition we were treated to a display by the Belgian Air Force F16 Solo display and the take off of a French civilian registered Fouga Magister. 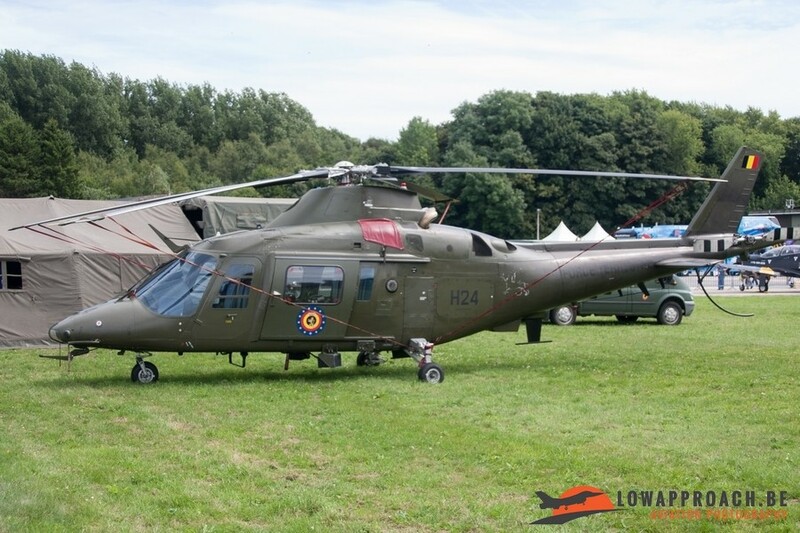 For this relatively small event a large number of foreign visitors made the journey to Beauvechain. Many fellow training units send examples of their aircraft. 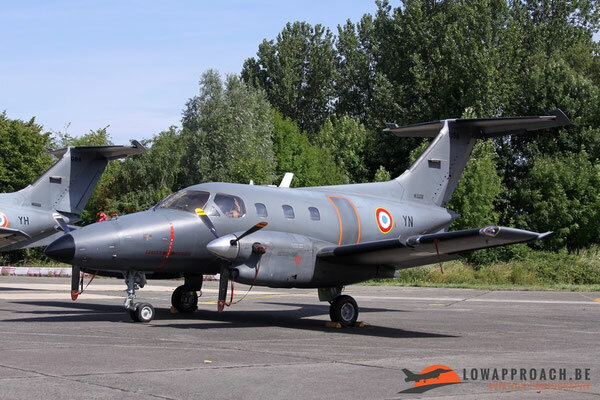 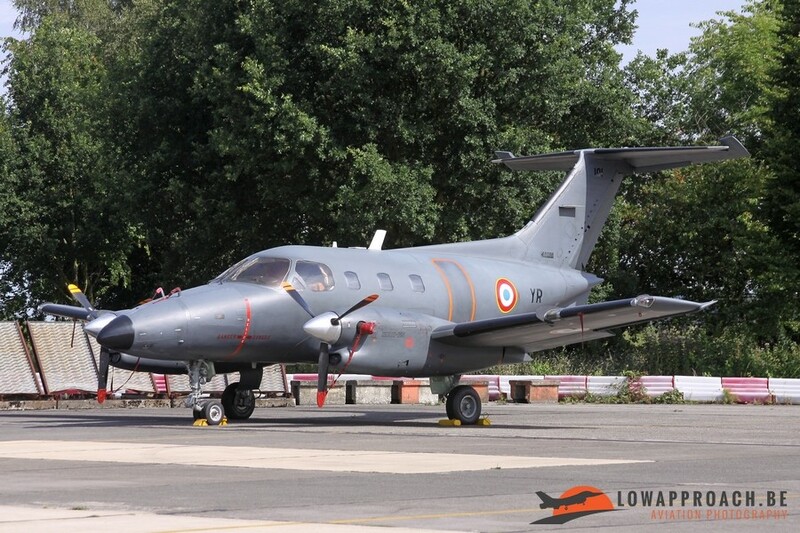 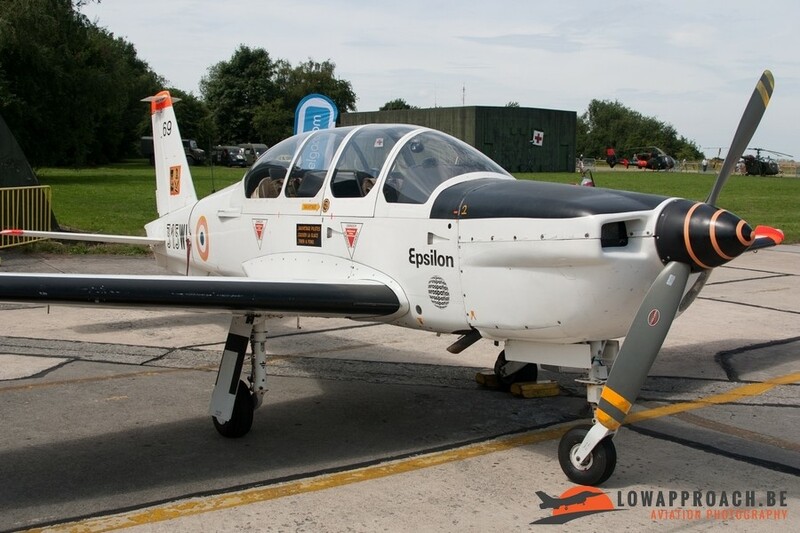 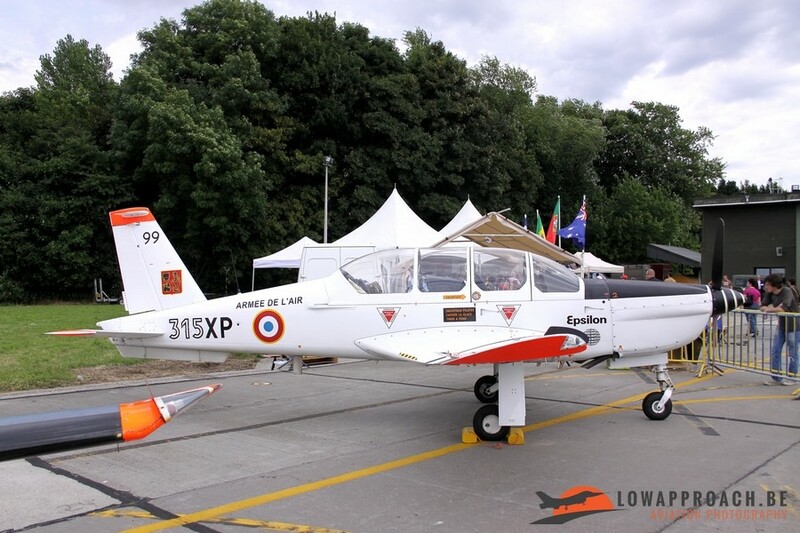 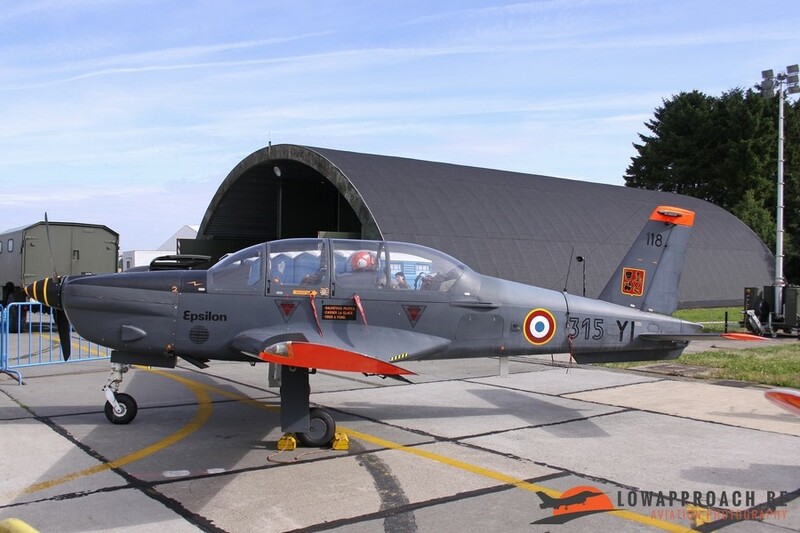 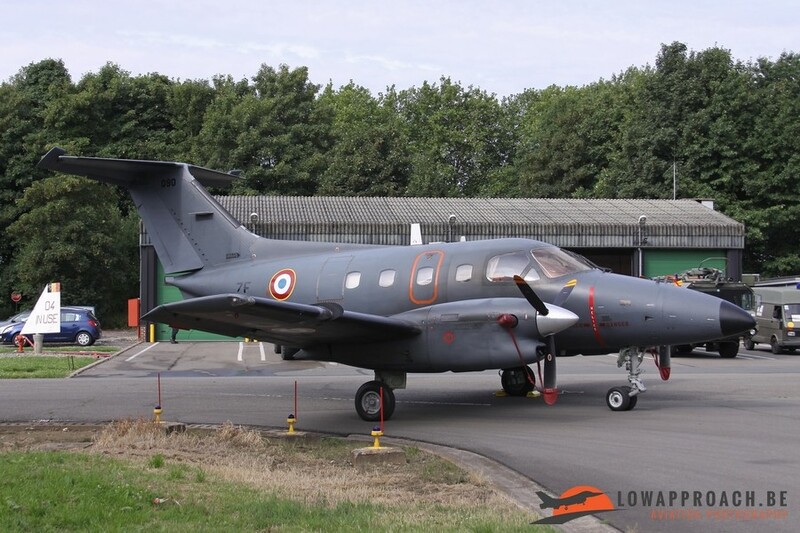 France provided a relative contingent with a large detachment of Socata TB30 Epsilons, in various color schemes. 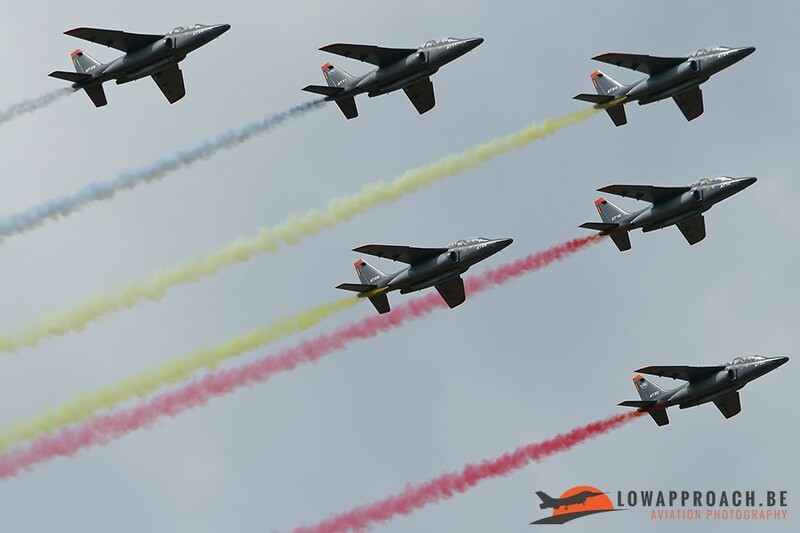 Also the Cartouche Dorée Display team was present. 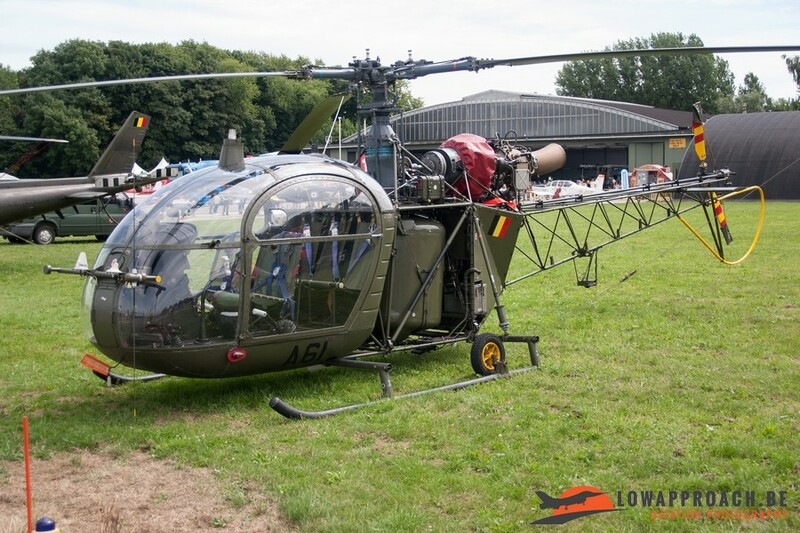 One of my personal highlights was the presence of Aérospatiale SA341F Gazelle from the Ecole d'Application de l'ALAT based at Le Luc. The aircraft of this unit, with their dayglo high visibility panels, are rarely seen outside France. 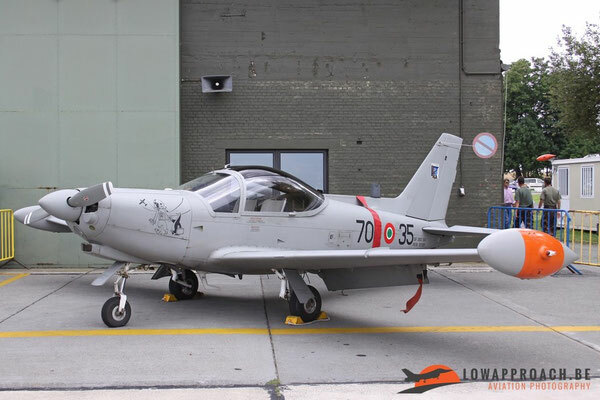 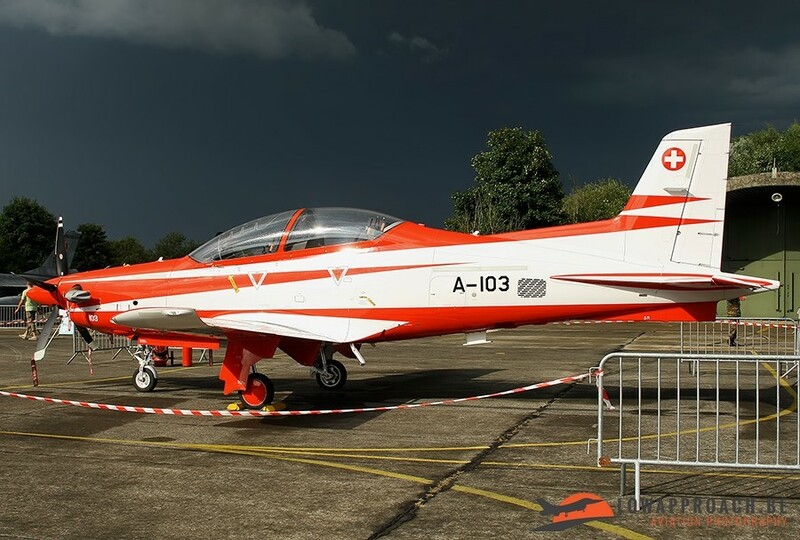 Italy participated in the celebrations of 40 Years Siai-Marchetti SF260 and two of their own aircraft made long trip from their homebase Latina (South of Rome) to Beauvechain. 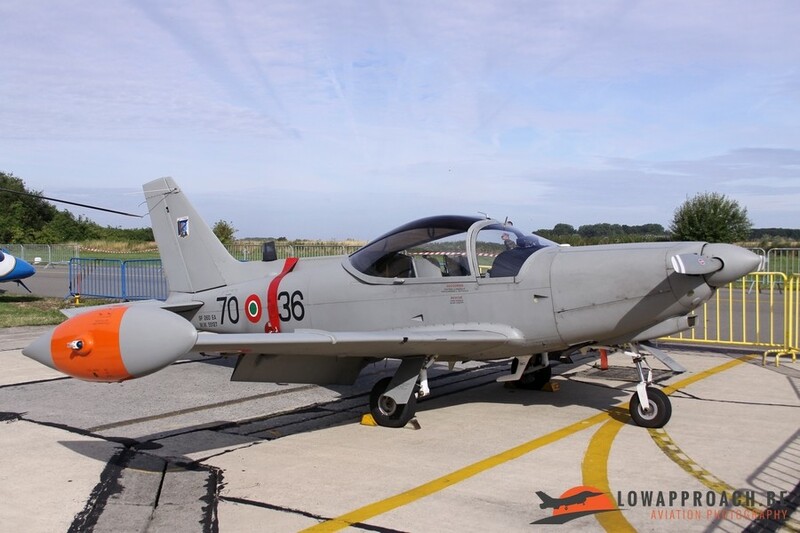 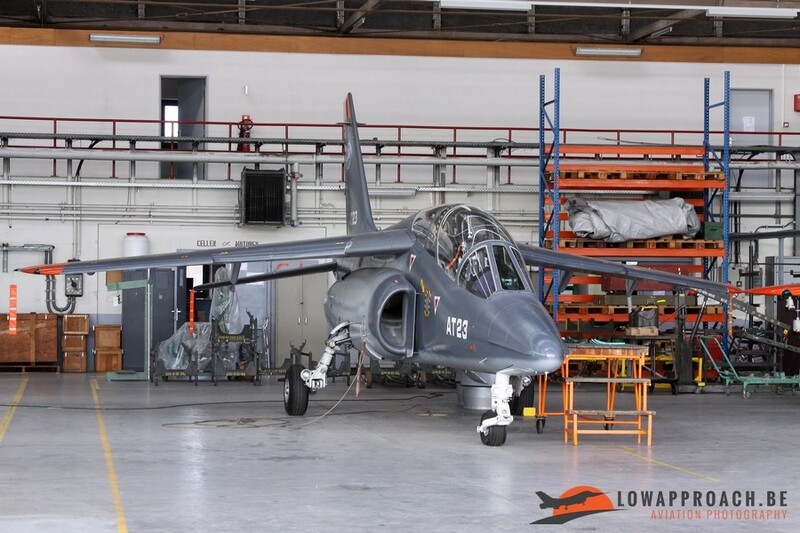 To boost the Italian presence an Aermacchi MB339CD advanced trip made the even longer trip from his base at Lecce in the southern tip of Italy. 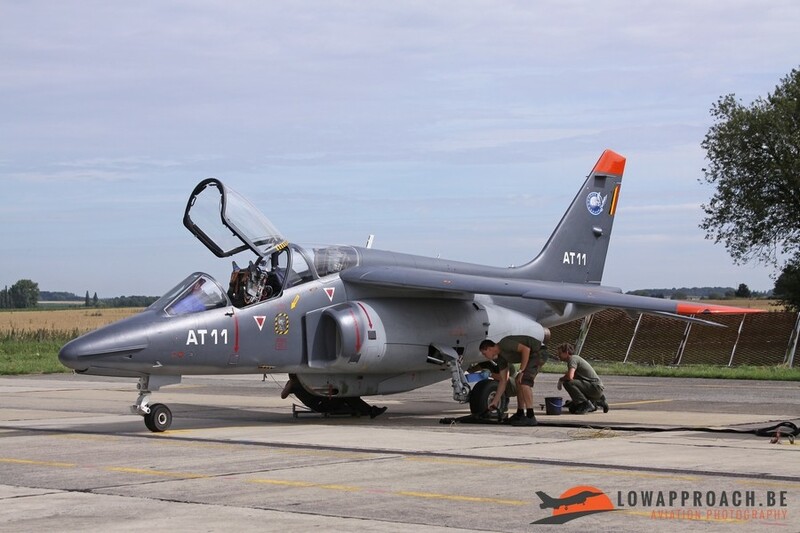 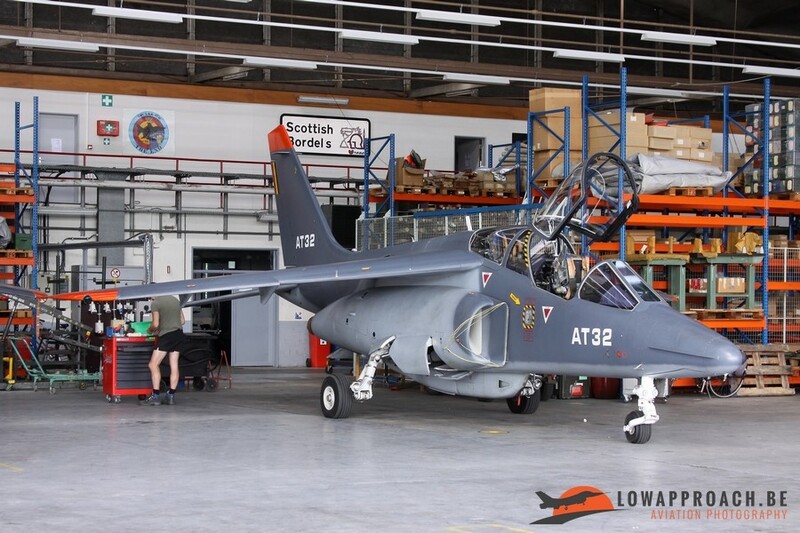 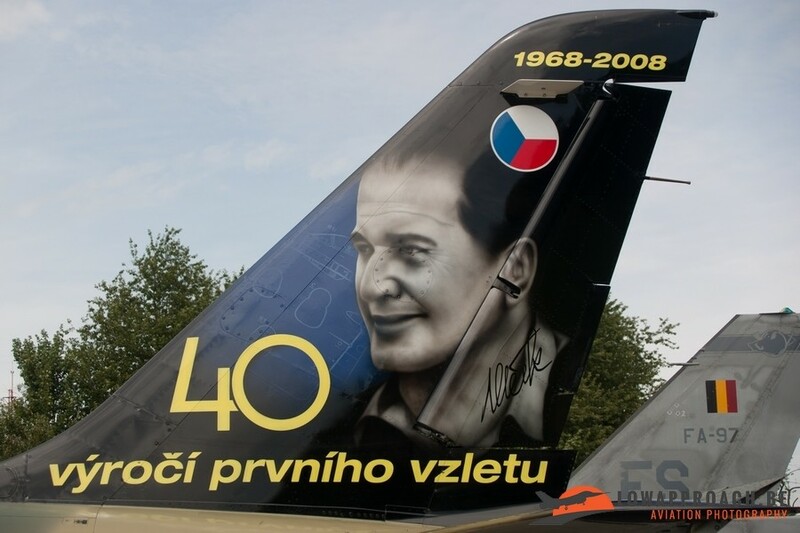 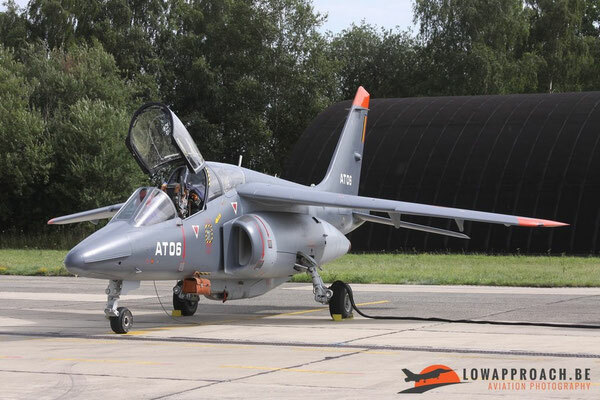 Other aircraft on the static display were a couple of Aero L39 Albatrosses, one from the Hungarian Air Force and one from the Czech Republic. 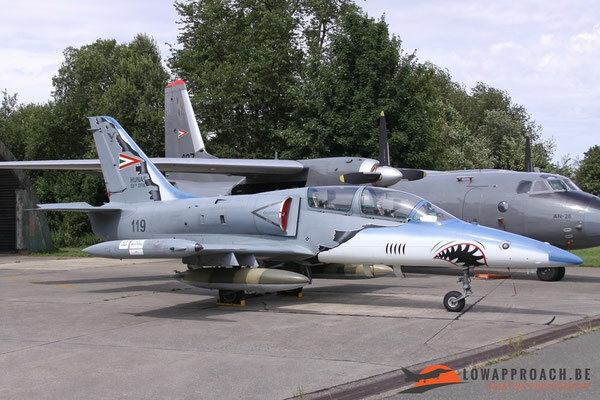 Both aircraft wore special decorations from their respective units. 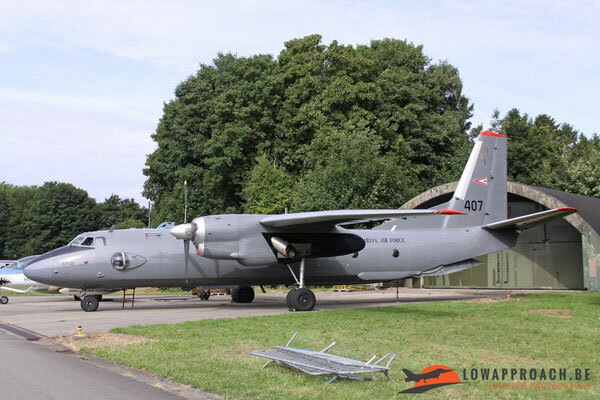 The Hungarian example was supported by a Antonov An26 transport. 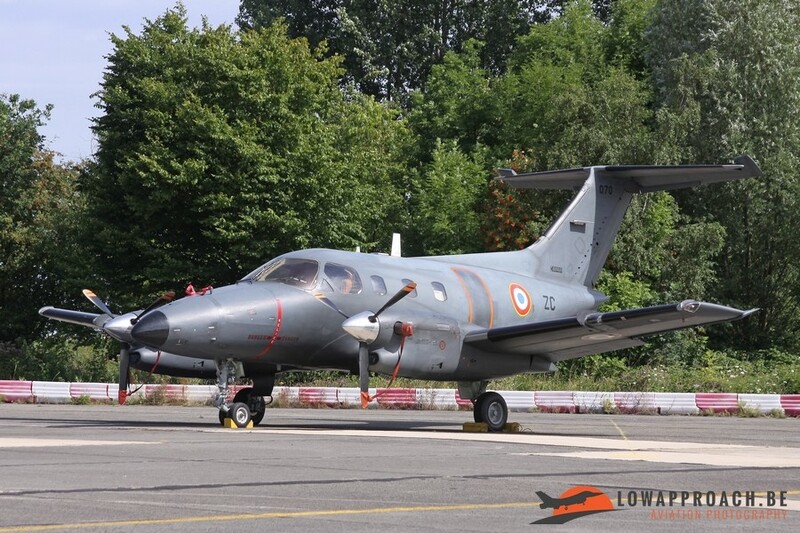 Switzerland participated with a detachment of operational Pilatus PC21 trainers. 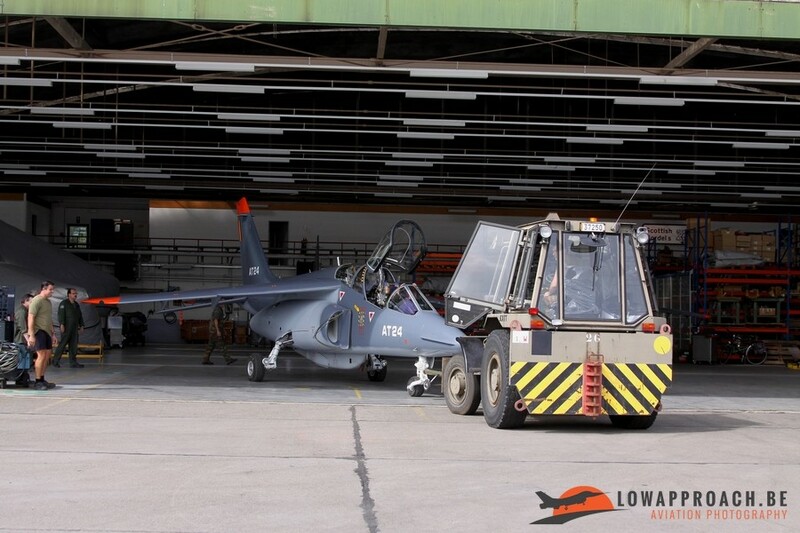 The manufacturer of this aircraft also send the civil registered second prototype of this type. 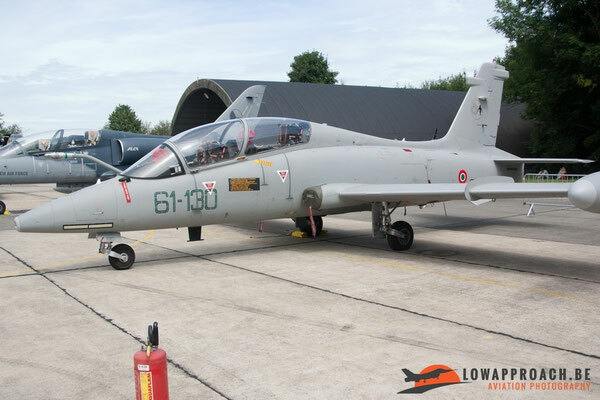 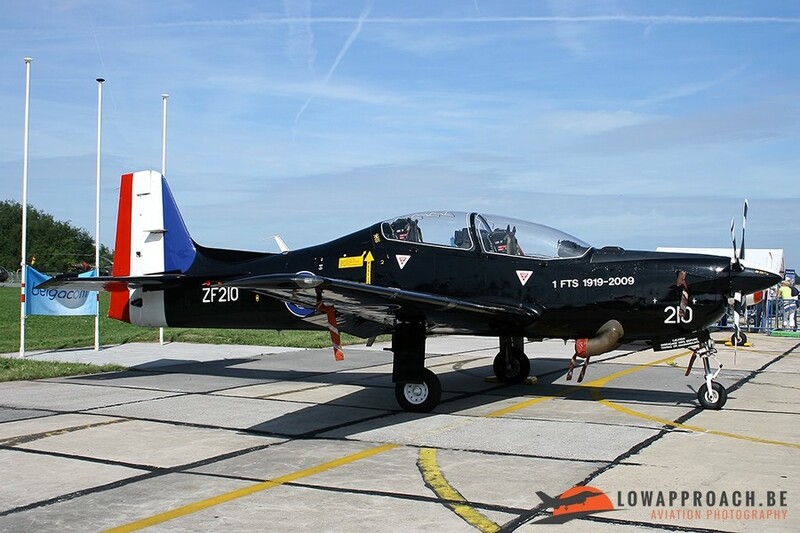 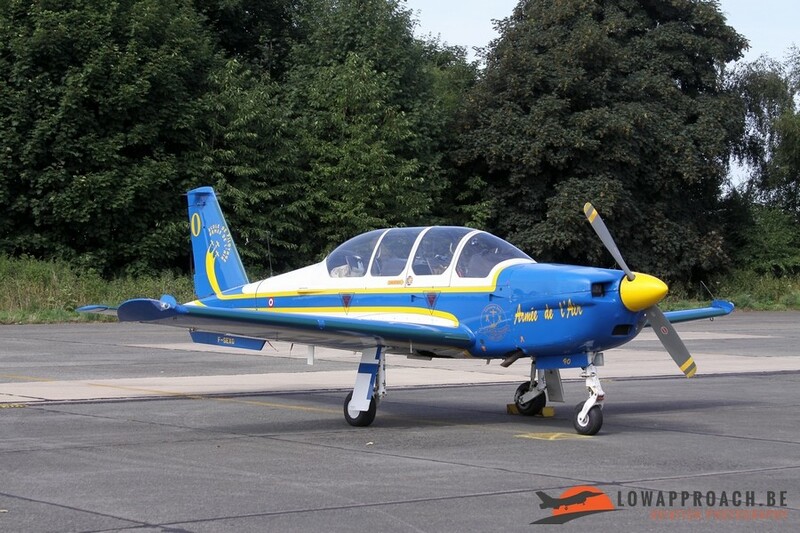 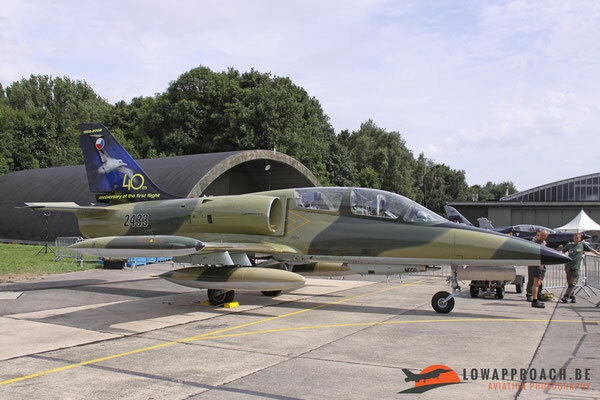 A Pilatus from an earlier era, but still in production at this moment, came from the Royal Netherlands Air Force in the form of a PC7 based at Woensdrecht. 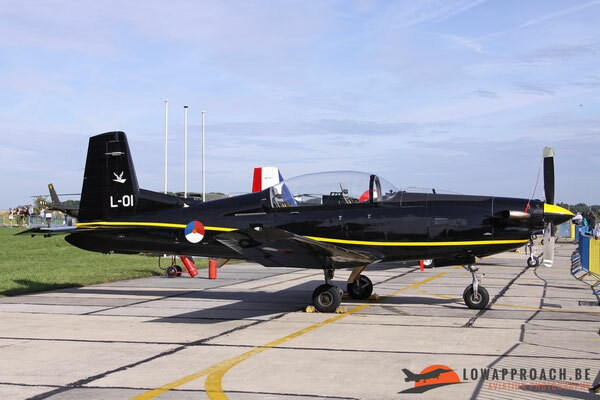 Finally the Royal Air Force participated with a Shorts Tucano T1 from N° 1 Flying Training School based at RAF Linton-on-Ouse. 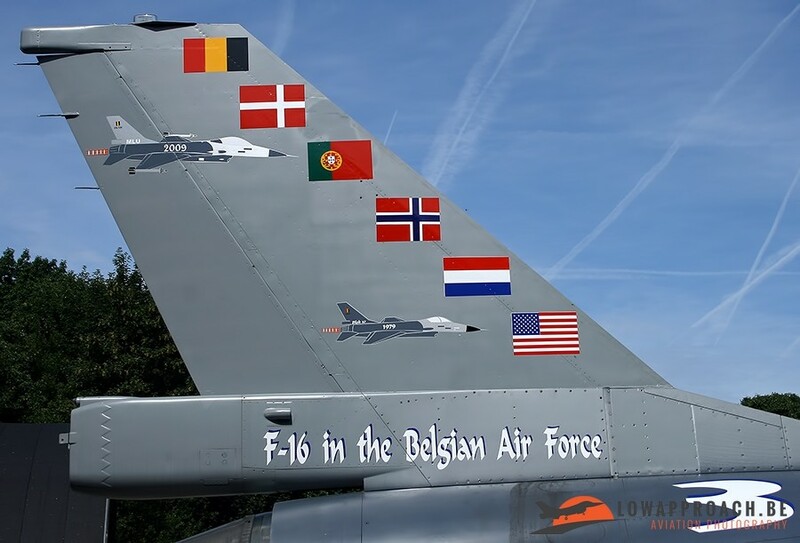 In all this was a very nice event organized on a Belgian public holiday and I hope that this is repeated somewhere in the future. 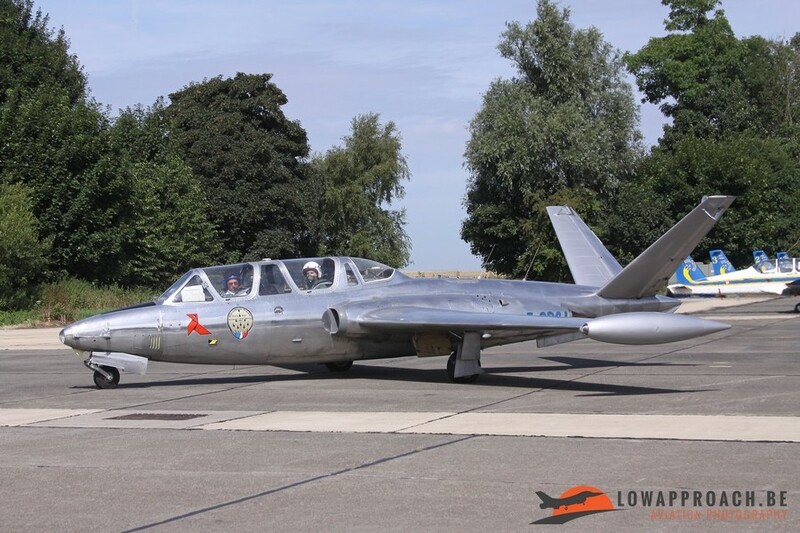 Photographic conditions were good, although the distance from the visitors area to the runway was quite large.